The bar has been named in honour and memory of the Welsh poet Dylan Thomas and his historic link with Ennistymon House, which later became the Falls Hotel, one of the most renowned Clare Hotels. The hotel bar and lobby accommodates a lot of related memorabilia of the early days of Dylan Thomas and his wife Caithlin MacNamara's life as well as that of the MacNamara family. 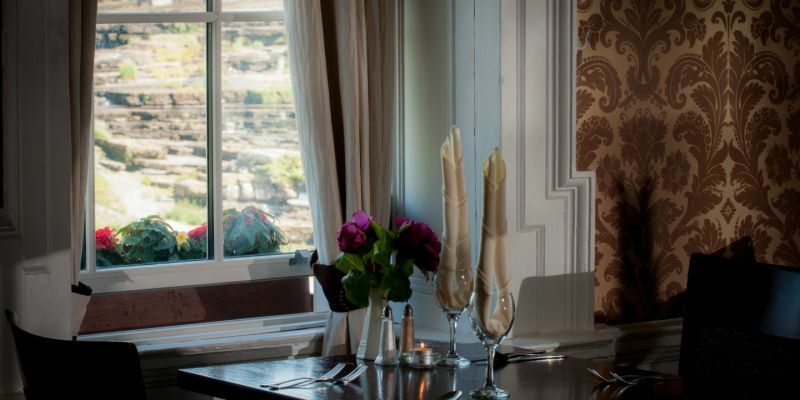 The Dylan Thomas Bar displays the original stonework of the manor house and overlooks the panoramic views of the Cascades on the River Inagh. 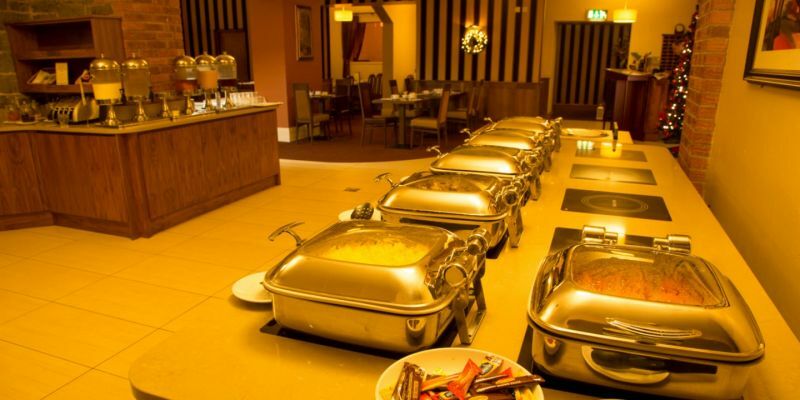 A full carvery menu is served daily from 12.30 - 2.30pm with an extended carvery available until 4pm on Sundays. We alos have a light bites menu with sandwiches & salads served Monday - Saturday from 12pm - 3pm. 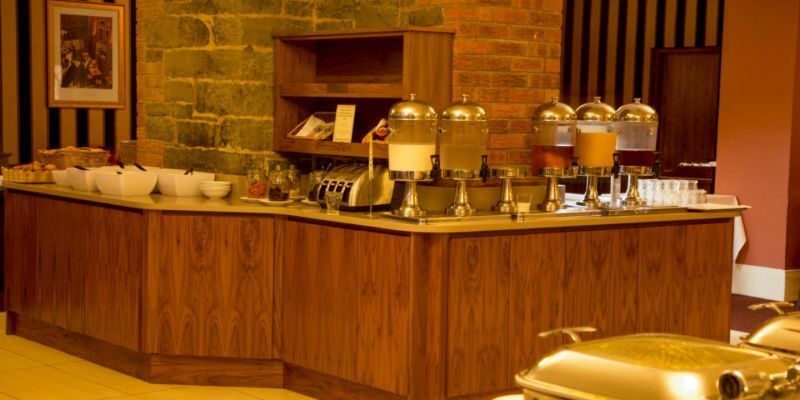 A full bar food menu is also available daily until 9pm. 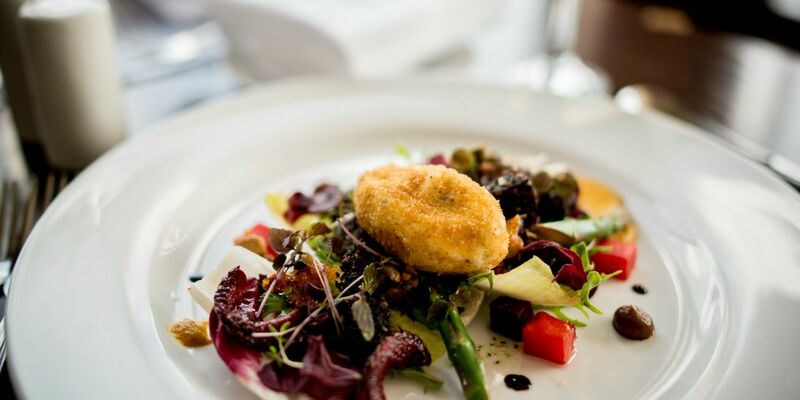 Our team of chefs pride themselves in providing delicious and varied menus using local produce where possible. Entertainment is provided in the bar every weekend.